Education in Faryab Province, northern Afghanistan, has never been as good as it is now thanks to the dozens of new schools built by Norway. Over 120 new schools have been built in the province over the past few years and 40-50 more will follow in the next two years, with Norwegian development assistance. “Faryab’s educational needs have been met by the new schools,” said Gul Agha Ahmadi, a spokesman of the Ministry of Education. For an estimated population of 800,000 there are 423 state schools, 20 religious seminaries, two teacher training institutes and one vocational training centre in the province, according to the Education Ministry. Over 40 percent of the total 282,080 students in the province are female. 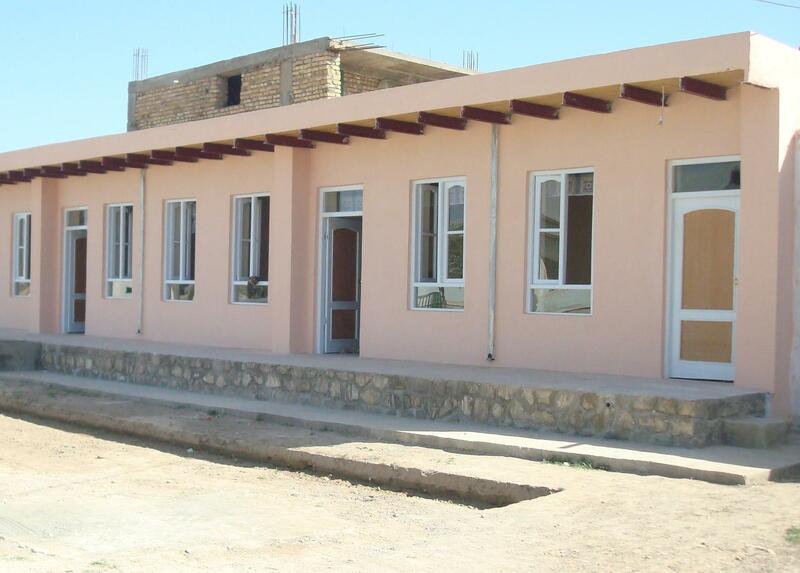 Faryab is a success story in a country where almost half of the 12,600 schools nationwide do not have a building (classes are held in the open or in tents), officials said. “We want to concentrate our efforts in a few development sectors. What is important is that Norwegian taxpayers want to see some concrete results,” Kåre R. Aas, the outgoing Norwegian ambassador to Afghanistan, told IRIN. Norway’s flag and other official symbols are not used on the schools which, according to some experts, have helped keep them immune from armed attacks. Schools, students and teachers have often been attacked and harassed by gunmen allegedly associated with Taliban insurgents. At least 20 percent of Norway’s US$125 million annual aid budget for Afghanistan goes to Faryab Province, where about 500 Norwegian soldiers are stationed as part of the NATO-led International Security Assistance Force. The rest of the aid is spent on projects elsewhere in the country, at the discretion of the Afghan government. NATO-member states have troops in different parts of the country, where they are also engaged in aid activities through the so-called Provincial Reconstruction Teams (PRTs). Aid agencies have criticized the involvement of PRTs in humanitarian and development projects, labelling the process “aid militarization”. “Our military has no involvement in our civilian development projects,” said Aas, adding that his country’s aid was strongly “scrutinized and monitored” in order to prevent mismanagement and corruption. But he conceded that not all aid projects in which Norwegian money was involved, had been corruption-free: “We have closed down some projects after corruption charges against specific projects which we supported,” Aas said. Education Ministry officials said Norway’s school building projects were planned in collaboration with the government and implemented by NGOs. Afghanistan’s 2004 constitution insists on geographical equity in terms of development projects and the delivery of services, but the reality is different. In terms of education, the southern province of Helmand, severely affected by the insurgency, appears to lag far behind Faryab Province. Though it has roughly the same population as Faryab, Helmand has only 282 schools of which over 150 have been closed due to insecurity and lack of teachers, provincial officials said. But Pierre Fallavier, director of the Kabul-based independent think-tank Afghanistan Research and Evaluation Unit, introduced a note of caution: “Building schools does not mean improving education - any more than building a hospital means improving health care,” adding that the focus on education was good but not at the cost of other important issues. The reasons children do not go to school include the lack of safe road access, the lack of clean school toilets, parents’ financial situations as well as their attitudes towards education, said Fallavier. Up to seven million students are currently enrolled at schools across Afghanistan, according to the Education Ministry, indicating significant progress since 2001 when only two million (boys only) were enrolled. However, about five million school-age children, mostly girls in the insecure southern and eastern provinces, are still being deprived of an education due to war, poverty, lack of schools and social restrictions, the Education Ministry said.